It’s exam time at universities across South Africa, which means most students will suddenly have too much time to ponder the existential questions of life: Why am I here? What am I doing? Why am I doing this? (If you haven’t had these thoughts yet, try studying econometrics.) So I thought I’d provide some answers so that you can get back to thinking about the more pressing matters, like passing Ecos 2. A new research paper by two Stellenbosch economists provides the answer: South Africans (of all races) with a university degree (not a diploma or certificate) enter a labour market with an unemployment rate of 5.9% (in 2012), compared to the 25% unemployment rate for the total population. In other words, a university qualification reduces the odds of you not finding a job from 1 in 4, to 1 in 17. The more surprising thing is that this result holds across all universities and disciplines: a degree – no matter where or what type – makes a significant difference in your likelihood of finding a job. From the existing data and research there is not much statistical evidence that either the type of degree acquired, or the university attended, leads to a greater likelihood of being unemployed for a graduate (although we still need better data and more research to understand these aspects fully). Unemployment rates are relatively low even amongst black graduates who currently are more likely to enrol for courses in the arts, humanities and social sciences and attend ‘formerly disadvantaged’ universities. While the composition and quality of a degree may play a role in black graduate unemployment being higher than for white graduates, black graduates still experience lower graduate unemployment than in the European Union, for example. So what you study doesn’t seem to matter? No. The above study measures your likelihood to get a job. And even though an art historian is as likely to get a job than a chemical engineer, their remuneration (salary) is likely to be different. Few of us are only concerned about getting a job; most of us care about the financial rewards (and auxiliary benefits) that that job offers. A recent list by PayScale, a US company, ranks the top-paying degrees in the United States. I think this is a pretty accurate reflection of South Africa too, with one exception (which I’ll get to later). If you want to earn the big bucks, engineering is a good place to start, occupying six of the top seven highest paid degrees. Only Actuarial Mathematics – Actuarial Science in South Africa – can compete. An obvious feature of the top thirty top-paying degrees is that they require a heavy dose of mathematics, and one could argue that, given the poor performance in maths at South African schools, the premiums on these degrees would be even higher. The point is this: if you get an A for Matric maths, your best option is to enrol in an undergraduate degree that further develops your math skills (Engineering, Physics, Actuarial Science, Statistics, Applied Mathematics, Computer Science). Studying mathematics is an excellent core skill to have; it opens up doors (at the graduate level) to many other applied fields, from the medical sciences, to software programming, to game theory, to managing your own business. At this point, let me say something about the study of Accounting. Advising brilliant students (students that has the ability to study anything), school councillors in South Africa would most often suggest a career in either Actuarial Science and Accounting. To become a Chartered Accountant (following four years of study and two board exams) is seen as a ticket to riches and the logical option for many high-school students. To give one example of the preference for accounting; the School for Accounting at Stellenbosch now constitutes a third of the Faculty of Economic and Management Sciences, which also include Economics, Management, Marketing, Logistics, Actuarial Science, Statistics, Industrial Psychology and the Business School. This is a peculiar choice, and is unique to South Africa. Accounting is not a career choice for the brightest students in Europe or the United States, as is also clear from the PayScale list (Accounting doesn’t rank in the top 50). There are historical and institutional reasons for Accounting’s dominance at South African universities: the South African Institute of Chartered Accountants sets strict guidelines as to what should be included in undergraduate and graduate training, determines the difficulty of the board exams, and can thus limit the supply of Chartered Accountants (CAs) in the market. A limited supply increases the price, meaning qualified CAs earn well, which makes it even more sought-after. 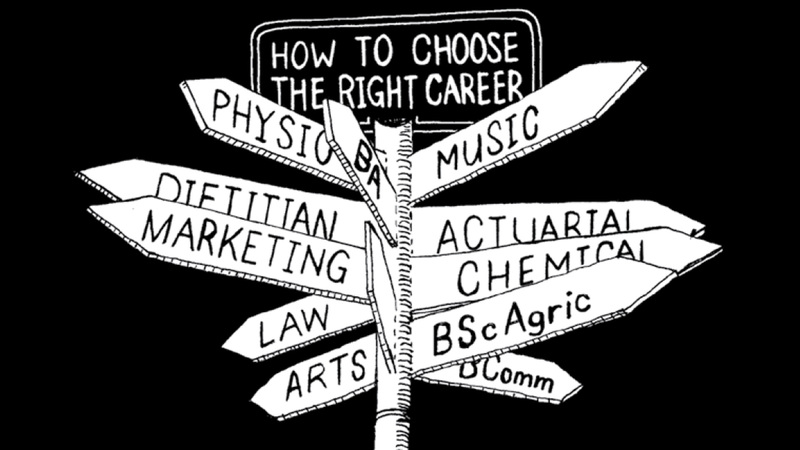 It is also a well-defined career path: get your Honours, write two exams, and you’re set. Make no mistake: these are some of the toughest exams to write, requiring years of hard studying. Only the toughest survive. The pay-off is a qualification with nearly limitless job opportunities (at least until the financial crisis hit) and guarantees high incomes. Well-trained accountants have certainly contributed to the quality financial institutions South Africa is known for. But – and this is a question I have no answer for – at what cost for the individuals and for society? I have not met many accountants who enjoy their job; they enjoy the benefits, yes, but not necessarily the auditing. These are driven individuals (you have to be to pass those exams) and they often rise quickly in an organisation, but is it because of the knowledge they gained studying Accounting or is it because they are inherently intelligent, motivated individuals? Would they not have climbed the corporate ladder in any event – perhaps even faster – with some other degree? More importantly for society, what if the most brilliant of South African high-school students, instead of learning auditing rules and tax principles and accounting standards, were grappling with the Hodge conjecture (in mathematics), the Gettier problem (in epistemology), the Golgi apparatus (in cell theory), the Equity Premium puzzle (in financial economics), or supermassive black holes (in astrophysics)? Or instead decided to create something brilliant: as authors, as artists, as entrepreneurs? If Einstein was born in South Africa, he would probably have studied accounting. I’m not sure that he – or South Africa and the world at large – would have benefited much from such an arrangement. Learn a computer language at school. Coding will open many job opportunities that probably don’t even exist yet. In a world of information overload, writing succinctly is a skill that will be prized in all professions. To write well, read. Why not learn another language while you’re at it? (I would recommend Portuguese (for the fast-growing markets of Brazil, Mozambique and Angola), Swahili (East Africa), Mandarin (China), Spanish (the Americas) or French (West Africa, and to impress girls). Of course, the richest people under 30 in the world are not the ones who studied. They are the entrepreneurs that had a great idea and put in a lot of effort to make those ideas a reality. Entrepreneurs are the life-blood of society. I can think of nothing more rewarding than building your company from a small garage workshop into something that has a profound impact on society, employing dozens or even hundreds or thousands of people. The sooner you start, the better.